Set in the background of picturesque Montana lies a busy collection of restaurants known as the Montana Club. Known for their outstanding service and quality of food, the Montana Club prides itself in having a top-notch operation. One of the key issues the Montana Club faced was having food and drinks spill onto their critical POS hardware, causing potential failure of the station, which in turn, disrupts the entire operation. With all the recent talk of EMV adoption, concerns for security at the point of sale are getting more attention. When dealing with secure customer information, a security compromise of your point-of-sale system and payment processing can have longstanding negative effects on business. Especially with the increase in online and mobile shopping keeping your POS system secure from new and ever changing threats is crucial. This infographic sheds some light the new security challenges retailers are facing today and how there is still a lot of room to improve. Star’s New mPOP – The Revolution of mPOS is Coming! In today’s competitive economy, retailers are often seeking solutions to reduce check-out lines and provide customers a more efficient shopping experience. As a result, retailers want a flexible peripheral that can be used as a POS system and/or mobile-based solution. Star’s dedication to researching and enhancing the customer experience at the point of sale represents their commitment to innovation. Do you know what your customers not only want—but need—to solve common pain points of a traditional point of sale terminal? Star’s latest innovation, mPOP, has audiences enticed and we are excited about the big reveal. coin till provides extra security for high value currency, store checks, and credit card slips. For added security, a locking base bracket is included with the mPOP to ensure reliable mounting on countertops. Enhancing its functionality, the mPOP includes USB ports for charging external devices, optional plug and play barcode scanner, and a universal device stand. Compatible with all major operating systems (iOS, Android, and Windows), the mPOP works with any supported mobile software and payment system, allowing retailers the freedom of using various platform options. With Apple MFi certification, the mPOP can also connect easily and pair with the iPad, iPhone and iPod touch. Additionally, the mPOP includes a 2 year bumper to bumper warranty and is compatible with AllReceipts, Star Micronics’ FREE digital receipt solution which is available to download on all iOS and Android mobile devices. Retailers can offer AllReceipts to customers by simply enabling AllReceipts from a Windows driver. For iOS and Android applications, developers will integrate this feature into their application. With multiple exit options for enhanced cable management, the mPOP complements any countertop area for a visually appealing POS system. The functions and connectivity of the mPOP make processing customer transactions smooth and effective for small shops, cafes, florists, bars, and many more. Aesthetically simple and elegant, the mPOP provides the ultimate point of sale solution for the new face of mPOS. For more information on the new mPOP system, contact us at Barcode Discount. Friendly’s Express is a fast-casual concept of Friendly Ice Cream Corporation, a full service family dining chain of more than 500 restaurants. Based in Wilbraham, MA, the corporation has sales of over $700 million and has strong brand recognition throughout the northeastern U.S.
To help insure that the Friendly’s Express concept would be successful, Friendly’s needed to deploy new technologies that would make food ordering, preparation and the labeling process accurate, quick and easy. 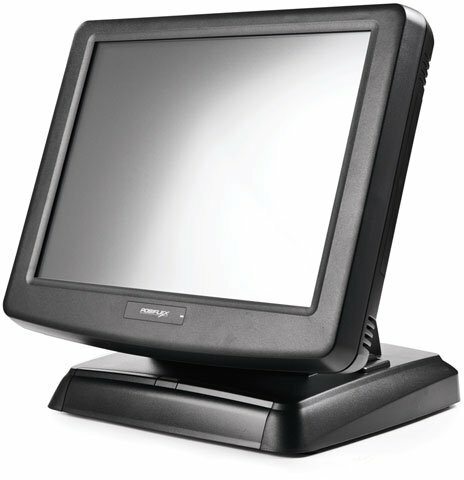 Friendly’s chose to work with NETS Products Group, an Epson Envision partner, to develop a solution to meet their needs. 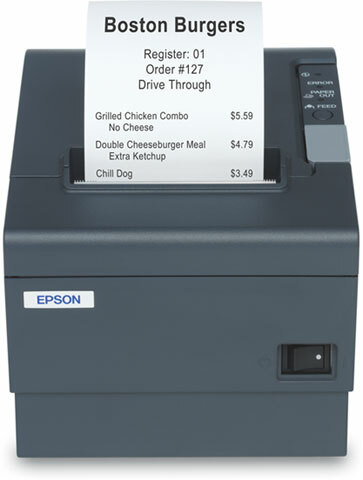 NETS recommended Epson’s TM-T88 ReStick label solution using MAXStick liner-free labels with Friendly’s POS system. “By installing an intelligent label interface into the Epson ReStick TM-T88 printer, we were able to easily configure the point-of-sale (POS) system to print individual item labels,” said Tom Niedzwiecki, Executive Vice President of systems integrator NETS Products Group.